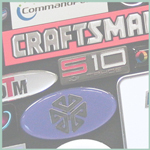 From warning labels and ID tags to attention getting nameplates and trim, all your product identification needs are met with a diverse range of materials and processes. 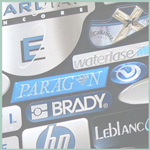 Aluminum and steel offer the durability of metal in a nameplate. 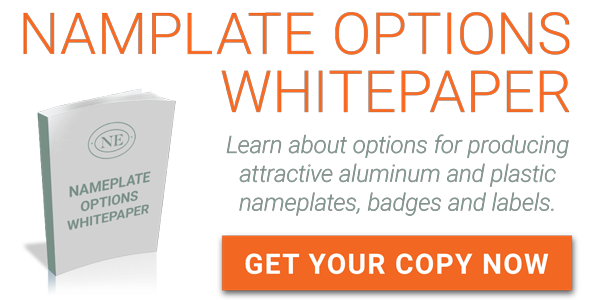 The versatility of decorative aluminum trim makes it possible for you to design unique components integrated into your final product. A traditional brushed or woodgrain finish or a technical or modern finish may be applied to your trim piece to meet your design intent. 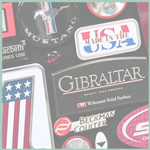 Processes ranging from screen printing and stamping to embossing and etching are available. Polycarbonate, polyester and vinyl are a few of the plastic substrates which offer flexibility and economy. 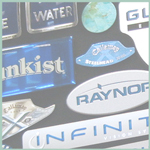 Options in plastic nameplates and trim include: screen printing, digital printing, doming, forming, embossing and in-mold decoration. With over 105 years of experience creating identity solutions on a varied range of substrates and a full palette of decorating options means all your label and trim needs can be fulfilled with one source.